In this day an age where our every move on the Internet is monitored without our knowledge, it is nice to have a way to guard your self against tracking. Whatever the reason for wanting to hide your IP, the solution is the same. First of all the term “hiding your IP address” is a bit misleading as you will need an IP address in order to use the Internet. However, you can hide your real IP address and in turn hide behind another. This is done by connecting to a Virtual Private Network also known as VPN. By connecting to this type of network you will have a server acting as a middleman between you and the website or service you are using. All traffic back and forth is encrypted and the service you are trying to reach will only see the server in between and the IP address from this server. This will guaranty that your real IP address is hidden from prying eyes. 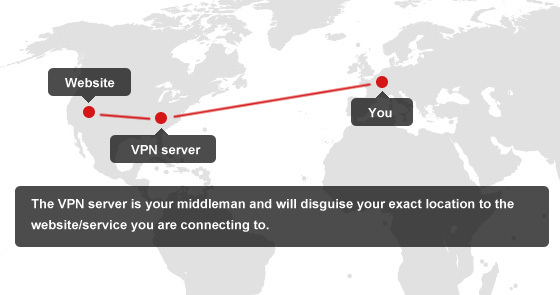 There are several VPN providers on the market and quite frankly a lot of bad ones as well. I have by far had the best results with the Unlocator service as it does exactly what the name says. They have over 17.500 different IP addresses to hide behind and you will get a new one each time you connect. Their 6 and 12 month packages have the best discounts, but you can of course also just test out the 1-month account. The setup is very easy as all you have to do is download their PC or Mac app and install it. After that it is just a question of choosing the country you want to hide in and click connect. A very simple approach with no skills required at all. So whatever the reason might be for hiding your IP address, then VPN is the way to go. Not only will it hide your location, but it will also make sure that your private Internet traffic stays private by encrypting it.